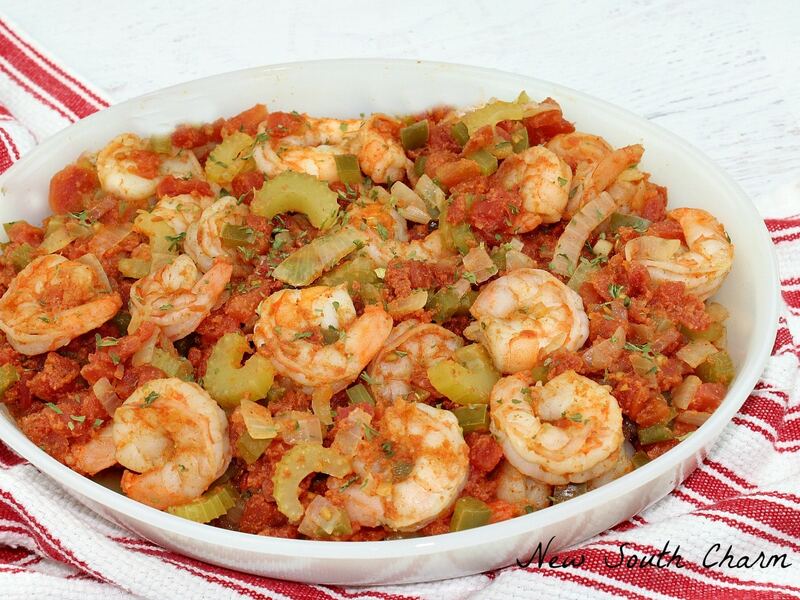 Plump savory shrimp in a rich tomato sauce with just a touch of spice comes together in just 30 minutes to make this recipe for Shrimp Creole a great easy weeknight dinner! 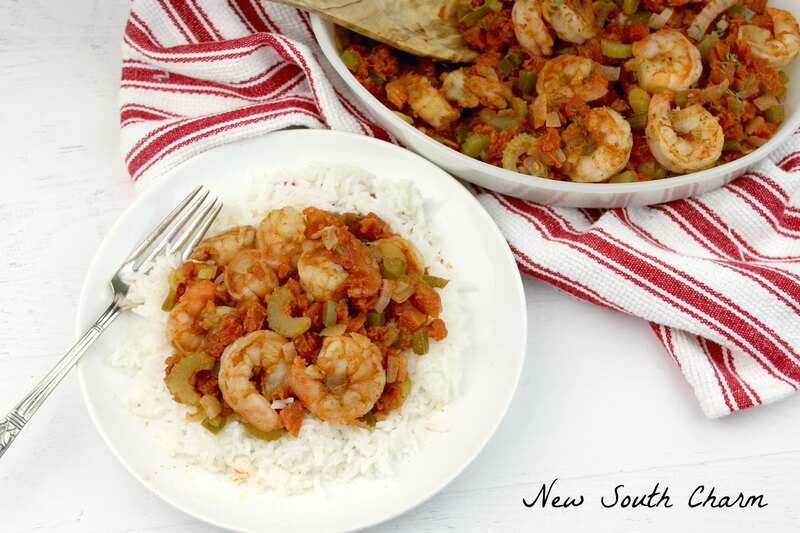 Until recently I thought Shrimp Creole was one of really complicated recipes that I could never make. I can’t tell you how wrong I was. 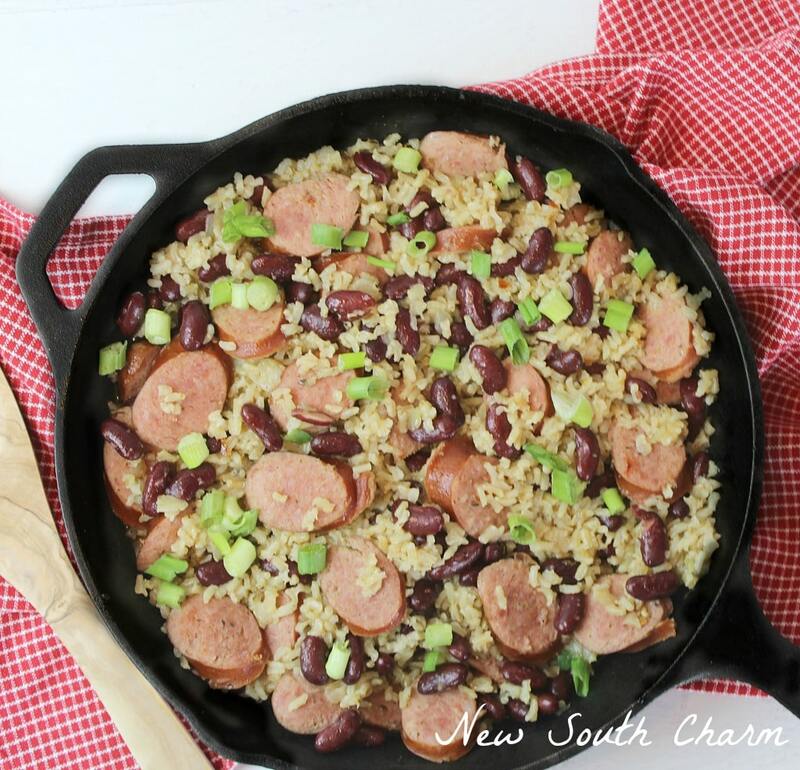 It turns out this cajun favorite is easy to make. My husband L-O-V-E-S Cajun food. So every once in a while I like to try to make one of his favorites at home. 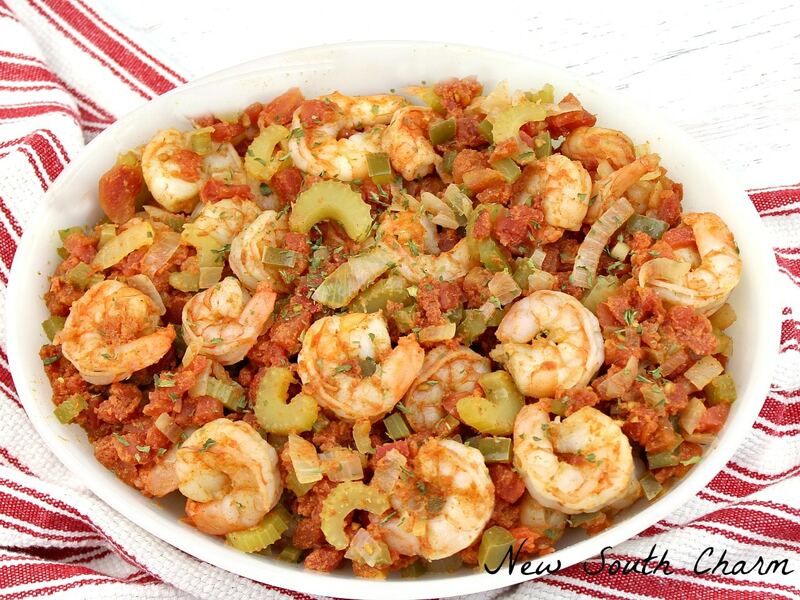 He gave this Shrimp Creole two thumbs up and that’s good enough for me. 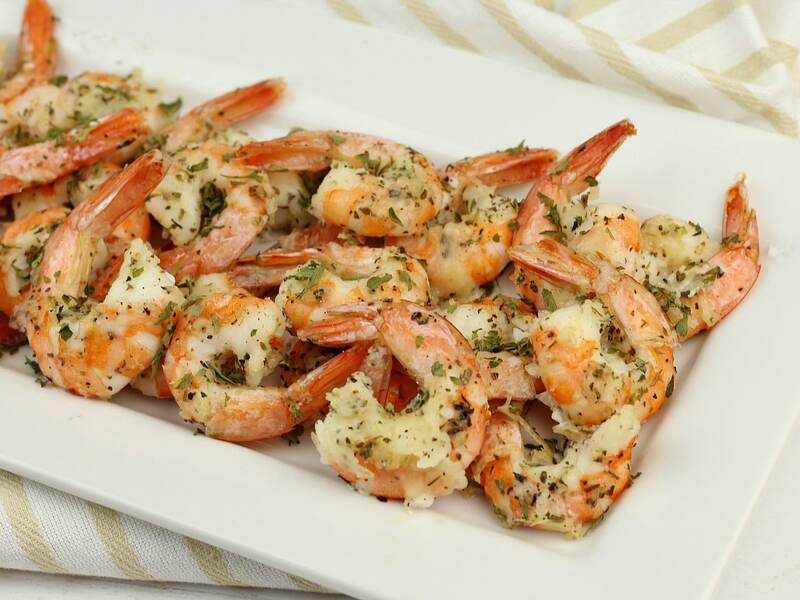 The recipe calls for thawed shrimp. If you need to thaw the shrimp in a hurry just place in a colander and then run lukewarm water over it for several minutes. Begin by warming olive oil over medium heat in a large skillet. 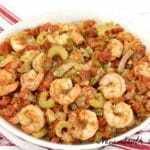 Next add the diced onion, bell pepper and sliced celery to skillet and cook until vegetables are tender. Add the tomatoes, garlic, cajun seasoning, salt and Worcestershire sauce to the skillet. Bring everything to boil then reduce heat. Allow to simmer for 45 minutes. Finally add the shrimp to the skillet and stir the shrimp not the sauce. Then cover the skillet with a lid and simmer for another ten minutes. While the shrimp is simmering prepare the rice. Finally spoon the shrimp and sauce over the rice and garnish with parsley and hot sauce is desired. Heat olive oil to a large skillet over medium heat and cook onions and celery until tender. 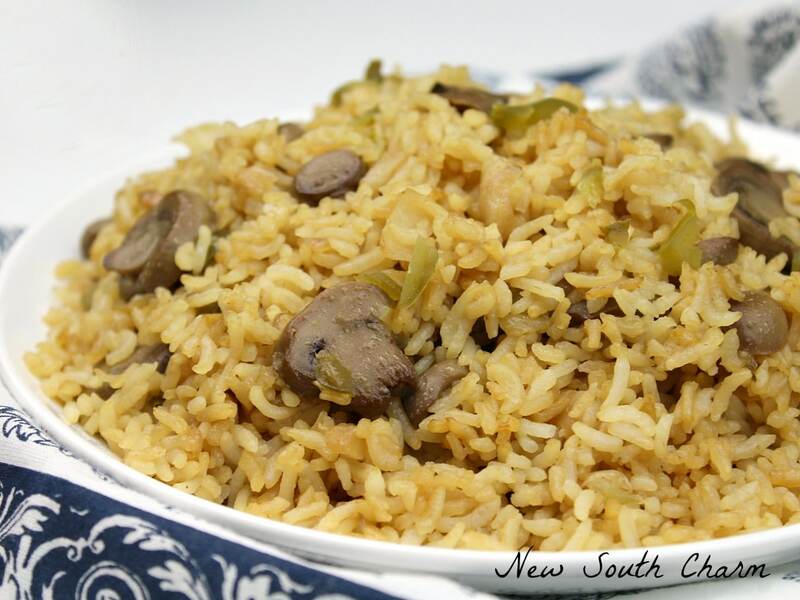 Serve over rice and garnish with hot sauce if desired. I think that one of my very favorite foods in life is shrimp. This looks wonderful!